This piano is designed by Steven Ball. 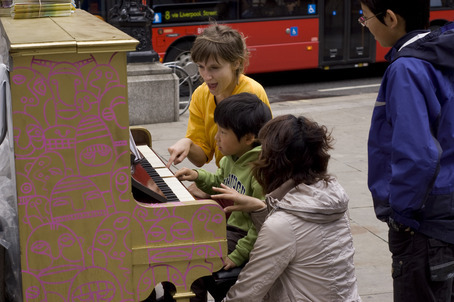 Death In Texas pianist Ruth Power spends a day on various street pianos. www.facebook.com/deathintexas for full band versions! 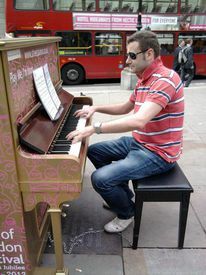 Pianist of local progressive rock band 'Death In Texas' puts on a show for the tourists. ...and last night I found mine. 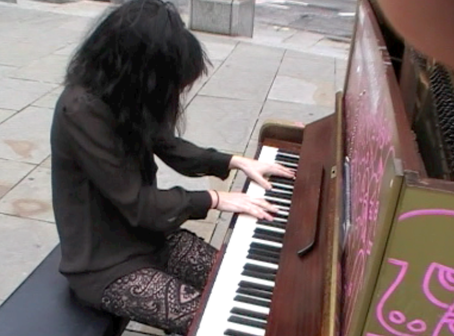 At first there was the mysterious piano left in the middle of the street which screamed for a touch, a touch of an singing soul. I've tried playing but it did not work, I wasn't the person the piano wanted. From the darkness, wet night of London, he my mysterious man, stopped his cab. 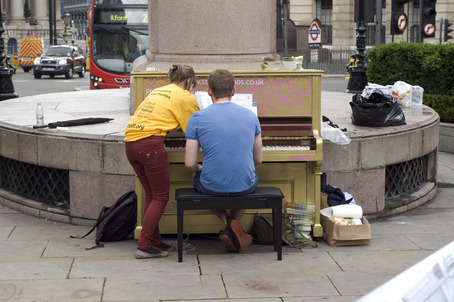 Rushing towards me and his soul piece, the piano, he asked with a soft voice if I knew how to play it. My answer was no, with regret. He then answered in a sweet, bitter, cheeky way 'Me neither'. 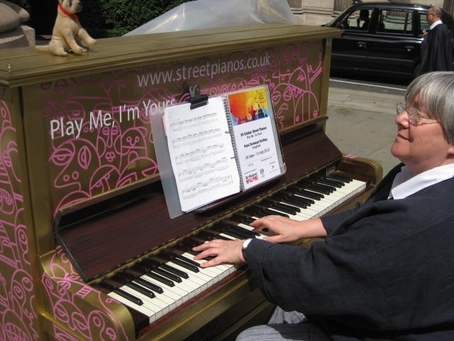 O- and when he made his first contact with that lost piano, shivers went through my spine. He was the one I wanted, the one I always desired. He played two beautiful pieces at the old piano and left, just like that. He left me there, without any other word and all I can do is to dream of him. But that's not enough, I want my second time, I want him, my mysterious man. Another photo of me teaching on Sunday 24th July. 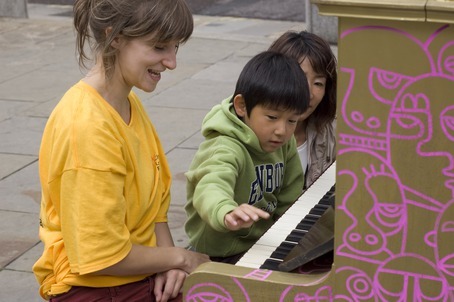 Opening of City of London Festival, 2012. Some pictures by Andy Colclough of me teaching on Sunday 24th July. Opening of City Of London Festival.